Christopher Philip Burton MSc, FIET, FBCS, CEng. For outstanding services in relation to computer conservation, including as initiator of the pioneering project to reconstruct the replica of the Small-Scale Experimental Machine, nicknamed “Baby”, and as team leader for its ongoing maintenance and demonstration. Chris Burton graduated in Electrical Engineering at the University of Birmingham. He worked on computer hardware, software and systems developments in Ferranti Ltd and then ICT and ICL, nearly all based in the Manchester area, from 1957 until retiring from the industry in 1989. Chris was responsible as initiator and team leader for the astonishingly detailed and ambitious pioneering project since 1994 to reconstruct the authentic full-size fully working replica of the Small-Scale Experimental Machine (‘SSEM’) nicknamed “Baby”, the original of which first ran a program in 1948. The importance of the original computer, conceived and built at Manchester, is that it was the world's first stored-program electronic digital computer, containing all the basic elements from which modern electronic computers have developed. The reconstruction of the SSEM remains the most influential of all the influential computer reconstruction and restoration projects, and illustrates the fundamental importance of UK computing in computer history. This reconstruction was a world first. It was ambitious and unprecedented in scale and its successful completion set the standard for other such projects in terms of technical and historical authenticity. It demonstrated that such a project was possible and achievable, was invaluable historically, and has substantial social and public value. Computer restoration has now become a thriving international movement and Chris Burton’s sustained and pioneering work is acknowledged world-wide. Following the successful reconstruction, the SSEM Baby replica first went on public display in the Museum of Science and Industry in Manchester (MSI) in June 1998, the centrepiece in a 50th Anniversary celebration. Since then, a team of 20 volunteers, under Chris Burton’s inspirational leadership, maintains the Baby as an authentic working electronic computer and provides the demonstrations to large crowds visiting MSI, now part of the Science Museum group. It remains the most-visited pre-1950s working stored-program computer anywhere in the world. There are currently at least three planned visits from school and college groups every week. For reconstructing the SSEM Baby Chris Burton was awarded in 1998 an honorary degree by the University of Manchester, the first Lovelace Gold Medal by the British Computer Society and a Chairman's Gold Award for Excellence by ICL. Cambridge EDSAC Replica, reconstructing another of the most important early British digital computers, whose first successful program was run in 1949, at the Cambridge University Mathematical Laboratory. Chris has demonstrated a combination of depth, breadth and consistently selfless commitment in all the projects in which he has participated. 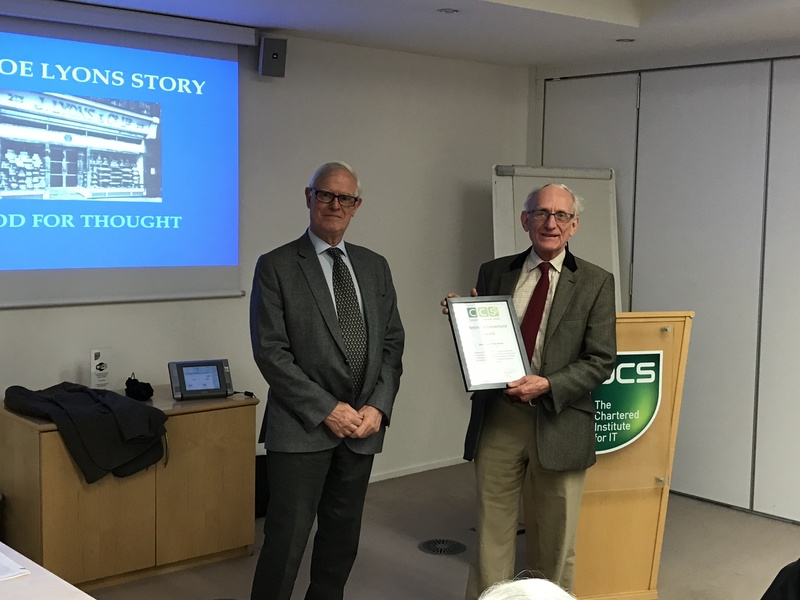 Chris Burton has been a key member of the CCS throughout the years since it was founded in 1989. His advice to Officers, to project leaders, and to other members of the Committee in relation to computer conservation, whether on strategic issues, expertise on matters of restoration or reconstruction, or administrative concerns, is always considered, sensible, practical and helpful.